100% of all donations go directly to the University of Maine 4-H Youth Development programs, funds and scholarships based on donor wishes. The Maine 4-H Foundation long time endowment covers our operations through the investment income at a conservative 4 to 4.5%. 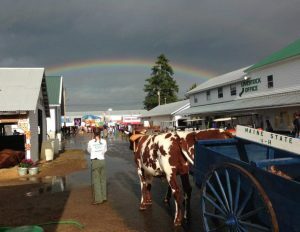 Maine 4-H is open to all youth ages five to eighteen. Our work includes supporting programs that encourage more Maine young people to engage in our programs. In 2015, the Maine 4-H Foundation distributed $196,884 and in 2016, the Maine 4-H Foundation distributed over $243,750 to 4-H Youth Development in direct program support and scholarships. The Maine 4-H Foundation supports National 4-H Congress, National 4-H Conference, Citizenship Washington Focus, State Public Speaking, Eastern States Center Program, Leadership and Community Service Education, Service Learning and supports direct club and group applications. In addition, the youth entrepreneurship Pitch project and service projects are funded through the Youth Trustees. Agricultural projects including animal science, veterinary science, plant and soil sciences, organic growing and local whole foods are all growing in focus across Maine. 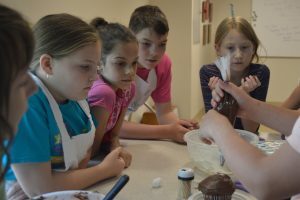 Health and wellness projects, animal science programs, Maine 4-H Days, workshops and educational exhibits, shows, fairs and Eastern States Exposition are all supported by the Maine 4-H Foundation. 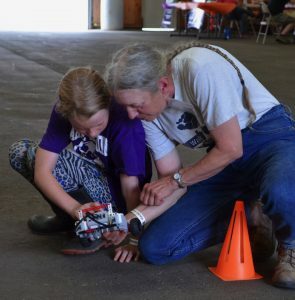 STEM areas include the Follow-a-ResearcherTM, STEM Ambassadors, Science Saturdays, Tech Wizards, Summer of Science, Maine 4-H Days, 4-H at UMaine, youth science workshops, support to afterschool, and county 4-H science programs are all supported by the Maine 4-H Foundation. Our three University of Maine 4-H Camp and Learning Centers at Blueberry Cove, Bryant Pond and Tanglewood all have a focus on environmental education, ecology, conservation, science and the research that is conducted by UMaine and our local partners on invasive species, water quality, fresh water and salt water habitats and more. The Maine 4-H Foundation works to support the camp and learning centers and environmental programs at the county and state level. The Maine 4-H Foundation supports higher education scholarships for graduating seniors and for younger 4-H members to attend our 4-H Camp and Learning Centers as well as engaging educational conferences, workshops and events.